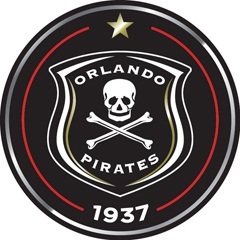 Cape Town - Orlando Pirates will be looking to keep touch with the Premiership's top two when they welcome Platinum Stars to the Orlando Stadium on Wednesday evening. The Buccaneers have been in sublime form since the turn of the year, having gone undefeated in 11 league matches, winning seven of those to leave themselves third in the standings, just three points adrift of Mamelodi Sundowns. However, the Brazilians hold both a superior goal difference and a game in hand over the Sea Robbers, and are in action the same day as they travel to Mpumalanga Black Aces. Dikwena, meanwhile, eased their relegation worries significantly at the weekend as they dispatched Ajax Cape Town 2-1, with that result taking the Rustenburg giants five points clear of the danger zone. It also gave Cavin Johnson the perfect return as head coach, with the tactician having taken over from Allan Freese prior to the international break, and he will now be looking for the scalp of Pirates as he continues to steer Stars away from the drop. On the team front, Pirates will have to do without defender Siyabonga Sangweni, who is struggling with a knee injury that ruled him out of the side's CAF Confederations Cup first-round success over Uganda Revenue Authority. Head coach Eric Tinkler is, however, without any suspension concerns, giving him an otherwise fully fit squad to choose from. Stars are also suspension-free and reported no fresh injury problems, although Eleazar Rodgers and Letladi Madubanya are both on three yellow cards each and one booking away from picking up potential match bans.